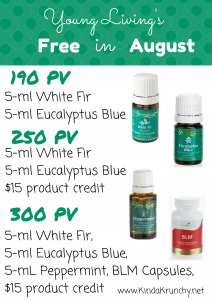 Young Living gives away free oils when the Point Value of your retail or wholesale order is 190 PV or greater! Check out the freebies for August! You can learn more about these free oils on Young Living’s Blog!